Comments: This drought tolerant shrub has an upright, spreading, fountain-like habit of growth. 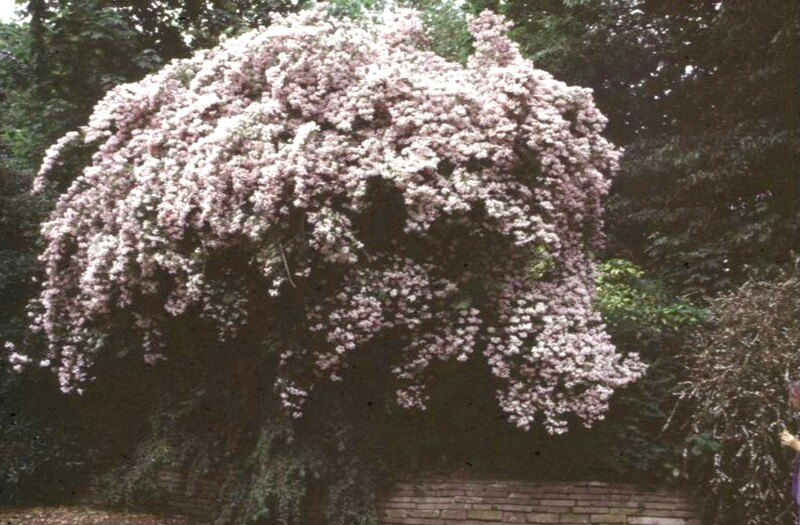 It is covered with light pink flowers in spring and it should be pruned soon after the blossoms are gone. Used in borders and as a specimen plant.